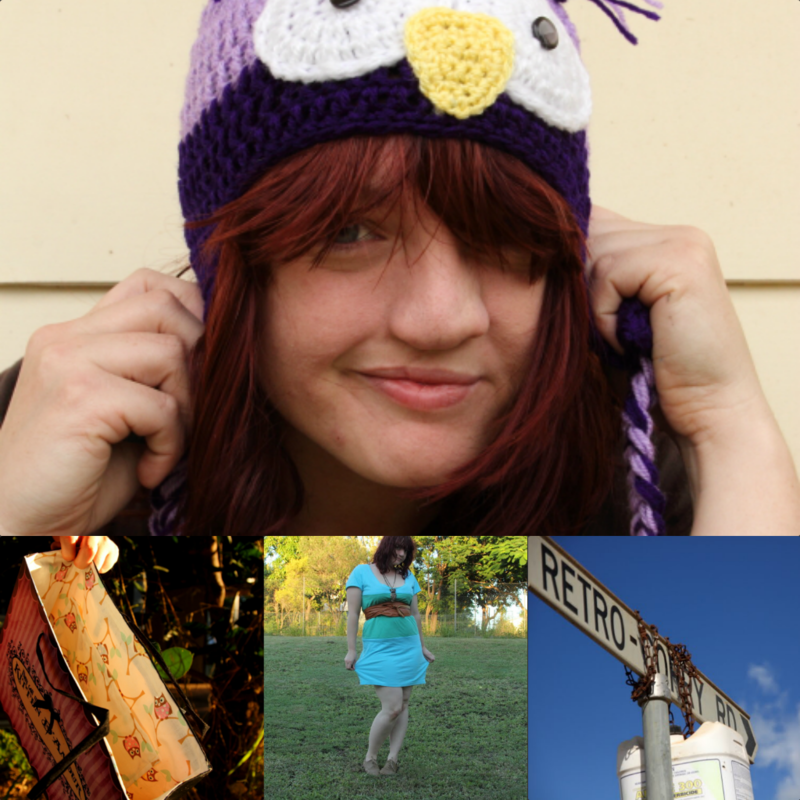 Formerly known as Miss Peregrins Secrets, my friend Stacey now blogs at her brand new place called Owl Obsessed Oddity. Stacey and I have been internet friends for a very long time. I believe we found each other over at the T Shirt Surgery livejournal community and I was shocked to discover a few years later that we actually lived in the same city. I'm an idiot. Stacey is one amazing girl. Her posts about self-love and body image are inspiring, and her Best of the Interwebz posts find me articles and bloggers that I never knew about. She's also taken up photography and it's amazing watching her grow. I really wish I had a nice camera and had the chance to practice taking awesome photos! Stacey also has a weekly Linky Party on her DIY Fridays, you should link up! Here she is with a tutorial just for us! Equipment required: a t-shirt (I used a women's size small), pins, tailors chalk, scissors, a tape measure & a sewing machine (although, you could handsew if you're not as impatient as I am). First we're going to measure out pieces for the bodice of our dress. Since I don't have any experience with making kids clothes, my first stop was Google - I used this chart of children's sizes for my measurements. My bodice pieces ended up being 22cm x 15cm each. Now we cut out bodice piece out. While you're there, cut off the rest of the bottom of the t-shirt - this piece is going to become your dress straps later! Put your bodice pieces right sides together, and then sew down either side. If you don't have an overlocker finish your raw edges with a zigzag stitch. Turn the pieces right side out. This gives us the circle of our dress bodice! Remember the piece I said we'd use to make straps? Go back to it now. Lay it out flat, and then cut it in half. Next, we're going to fold each strap piece in half, right sides together and then sew down the side making them into tubes. Turn your tubes right side out, and then put your straps aside for now. Next we're going to make our skirt! Cut off that last little piece of the bottom of the shirt. Then cut the sleeves off your t-shirt, and cut the top of your t-shirt off. Get distracted by your cat for a moment. Take out your tailors chalk - we're going to make these pieces of t-shirt into a "skirtier" shape. I did this with a bit of trial & error and a lot of eyeballing. Start at the corners at the top of the pieces & start drawing a curve. Try & blend the curve into the existing shape of the t-shirt. When you're happy with your curve cut along it. Put your skirt pieces right sides together and sew the top pieces of the sides together. If you don't have an overlocker, finish your edges with a zigzag stitch. It's looking like we've got a skirt on our hands! Here's how all our pieces are going to come together! Take a break to rock out to the musical episode of Daria. Next we're going to join our bodice & skirt. Since the skirt piece is a bit bigger than the bodice we're going to ruffle up our skirt a little bit, using Max's famous ruffle technique. Time for the last step - we're going to hem the top of our bodice & attach our straps at the same time. Sew as normal around the bodice hem, and when you reach the stop where you've attached a strap sew a few stiches backward & forward a couple of times to cement the straps. Ta-da! Our little girls pinafore style t-shirt dress is all done! Now all I need to do is work on a little girl to wear it, haha. so adorable! the print is great for it :D great work, stacey! Super cute! Love the print!